Barkers of Orleans has everything for your puppies! We carry natural pet food, holistic care products, sweaters, coats, dresses, seasonal costumes, carry bags, car seats, beds, accessories, collars, harnesses, and all what you can imagine. come in and see all of our special items and treats! For your favorite lucky pet. We take the health of our Cape Cod pets very seriously. That's why we stock nothing but top brands of dog and cat food to keep your pet healthy and active. Purchase toys for your pet!! Your four-legged friend will find all that they need to live it up on Cape Cod in our pet store in Orleans. 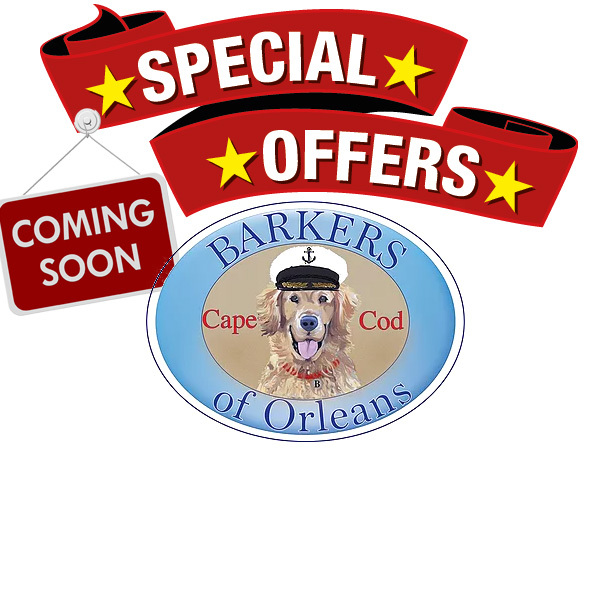 Your well-dressed dog or cat will be the talk of Cape Cod after one visit to our clothing department. Place a special order for any product with us. Our fully equipped Cape Cod pet store has all the latest eco-friendly, all-natural pet care products and supplies to meet all your pet's needs! !